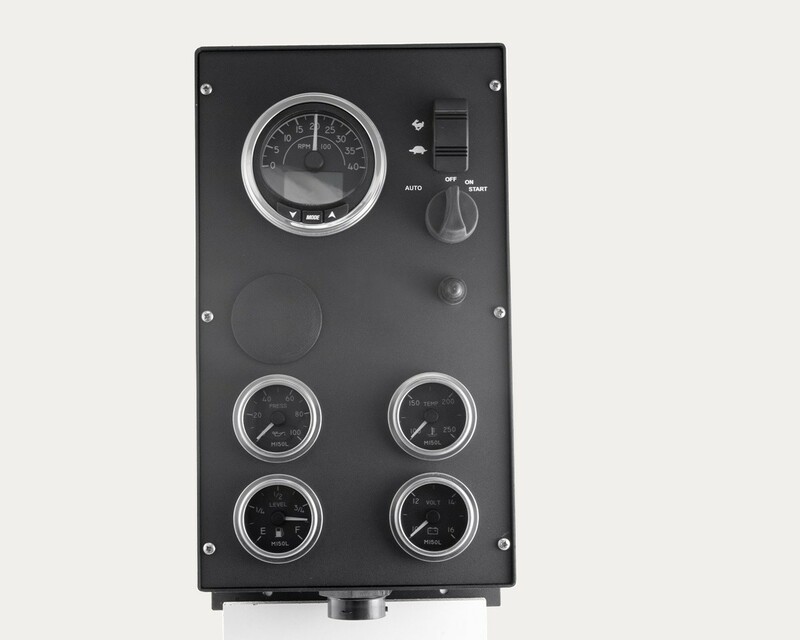 Engine Control Enclosure for J1939 electronically governed T4i & T4F Engines. Fully assembled Control Panel measures 8"x 13" and consists of: 4" 4k Tachometer w/integrated LCD display, sealed ignition switch, throttle switch, and includes 2" gauges for Oil Pressure, Coolant Temperature, Battery Voltage and Fuel Level. Optional Features include [call for pricing]: M300DP Auto Start Module.